If you need to put out additional units of trash, refuse stickers will be sold at the Treasurer's office for $1.00 each. 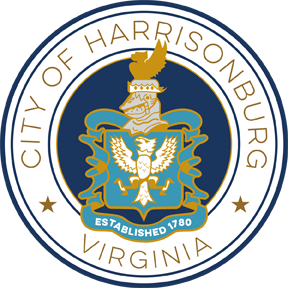 The City of Harrisonburg is required by the Commonwealth of Virginia to recycle at least 25% of total solid waste it receives annually. Specifically, the Solid Waste Management fee helps subsidize the cost for curbside recycling collection and disposal program, including but not limited to handling and processing of the total solid waste generated, in order to achieve state and federal mandates. The recycling program has been and will continue to be subsidized with funds from all customers regardless of whether they choose to recycle or not. However, we do encourage all residents and businesses to recycle. City residents that live in an apartment complex, or an area that provides its own refuse collection service, are required to pay the full Solid Waste Management Fee unless the complex has an approved private recycling program. To receive approval for a private recycling program and have $10 of the Solid Waste Management Fee waived, an apartment complex or area (i.e. homeowners association) must submit a Solid Waste Management Plan to the City. Reflect on an annual basis and certify that at least 25% of all sold waste disposed of was recycled. 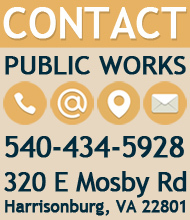 Please contact the Public Works Department at 540-434-5928 with questions.